Acaena microphylla 'Kupferteppich' is a form with bronze coloured leaves and a small flower, which is followed by a bright red burr. 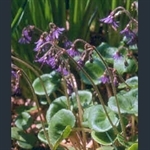 Dark red and green, mat-forming evergreen perennial with pink starry flowers. 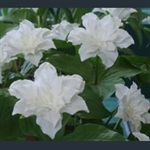 Rare double-flowered form with masses of white petals above three leaves.